Drive to be bigger, broader and better led to proposed “marriage” of OUECT and OUEHT. Virtuous positive cycle post-merger, if manager delivers on growth initiatives. To allay investors’ concerns, lingering questions need to be addressed. 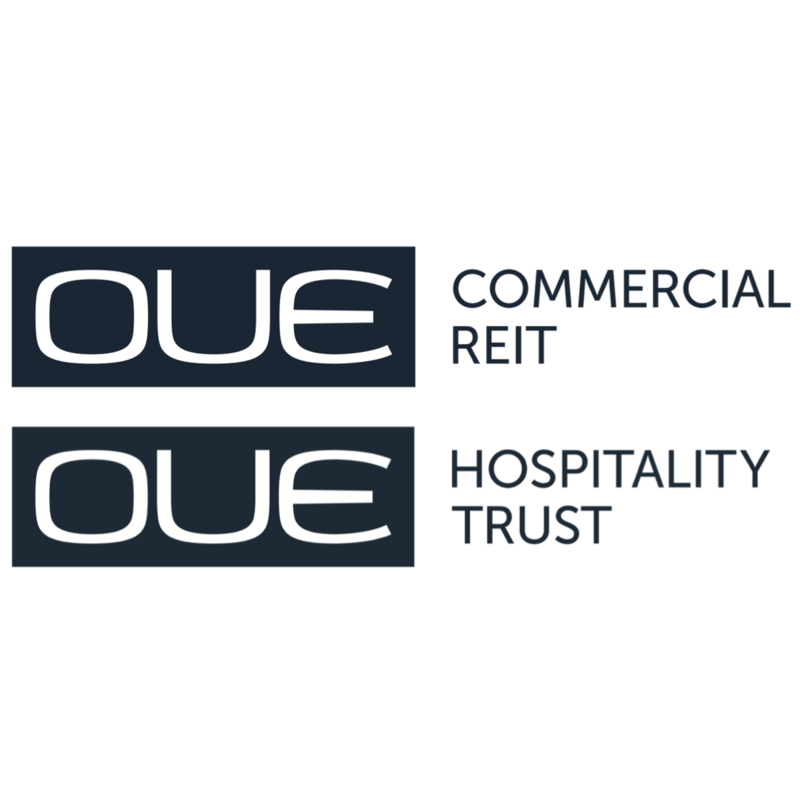 The proposed combination of OUE COMMERCIAL REIT (SGX:TS0U, OUECT) and OUE HOSPITALITY TRUST (SGX:SK7, OUEHT) is a bold step but potentially a necessary one in an era where “big is beautiful” amongst the Singapore-listed real estate investment trusts (S-REITs). Post-merger, OUECT and OUEHT will take a quantum leap forward moving from 10th and 23rd place respectively to the 8th largest S-REIT in terms of assets (c.S$6.7bn in value) as a combined entity (OUECT-HT) and 10th largest in terms of market capitalisation (c.S$2.9bn). In our view, a larger and more liquid OUECT-HT will likely place it on the radar of a wider pool of institutional investors and potentially result in greater broker coverage. Assuming investors are convinced about the merits of the merger, the manager delivers on its growth strategies and OUECT-HT entity gains inclusion to various indexes, a virtuous positive cycle could result in a lower cost of capital over time. Myriad of benefits from being “together as one”. Based on the merger terms, OUEHT unitholders will effectively receive 1.43 OUECT shares for every 1 OUEHT unit they own. While the exchange ratio implies that new OUECT units will be issued below net asset value (NAV), distribution per units (DPUs) are expected to increase by 2.1% for OUECT post-deal. In addition, unitholders should benefit from a more diversified earnings base and exposure to the office/hospitality subsectors in Singapore which are on a multi-year cyclical uptrend. Potential cost synergies from a larger entity will present an upside in the medium term. Potential impediments to realising full merger benefits. The enlarged entity OUECT-HT will now be able to take on larger scale opportunities. However, with gearing expected to settle around 40% post-merger, it also means equity raisings will be required to support the trust’s growth plans. This may create an overhang on the stock, if there is no material compression in OUECT-HT’s yield going forward. As OUECT-HT will be the first REIT with a mixture of predominantly office and hotel assets, it is uncertain whether the market would be drawn to such an asset mix considering that most investors generally prefer a REIT that is focused on a particular property sub-asset class. In addition, the yet-to-be exercised convertible perpetual preferred units (CPPUs) held by the sponsor and potential injection of OUE Bayfront Oakwood serviced residences, which at this point is unlikely to be accretive, remains an overhang which the merger has not fully resolved. OUECT and OUEHT have proposed a merger through a trust arrangement, with OUECT offering to buy OUEHT via a cash and stock deal. According to the joint announcement, a potential merger between OUECT and OUEHT would build a larger trust with a greater investor profile and offers increased funding flexibility as well as potential for positive re-rating in the long term. As at 5 April 2019, OUECT and OUEHT’s market cap stood at S$1.5bn and S$1.3bn respectively. OUECT has 4 assets worth S$4.5bn comprising OUE Bayfront (S$1.2bn), One Raffles Place (S$1.8bn), OUE Downtown (S$0.9bn) and Lippo Plaza (S$0.6bn). OUEHT has 3 assets comprising Mandarin Orchard Singapore (S$1.2bn), Mandarin Gallery (S$0.5bn) and Crowne Plaza Changi Airport (S$0.5bn) worth S$2.2bn in total. A combined OUECT and OUEHT would have a market cap of S$2.8bn and assets worth S$6.7bn. Approximately 75% of these assets will be office/retail and the remaining 25% hotels. Based on our FY19F estimates, the combined trust would generate c.S$287m in net property income (NPI) with 60% from office/OUECT assets and 40% from the hospitality/OUEHT assets. 8th Largest REIT in Singapore; positives include possible index inclusion in the long term. Post-merger, OUECT and OUEHT will leap from 10th and 23rd place respectively to the 8th largest S-REIT by asset size. In terms of market cap, the enlarged entity will be the 10th largest S-REIT, up from 22nd and 24th placing for OUECT and OUEHT respectively. 1.43 OUECT units for every 1 OUEHT units. Based on the volume weighted average closing price of OUECT of S$0.52, the total consideration to be paid equals to c.S$0.75, which is close to the last closing price of S$0.735 and in-line with OUEHT’s NAV per unit of S$0.75 as at 31 December 2018. This implies a gross exchange ratio of 1.43x or 1.43 OUECT units for every 1 OUEHT unit that each OUEHT unitholder owns. Working backwards from OUEHT’s closing price of S$0.735 implies a conversion price of S$0.51 for each OUECT share. As this is below the last closing price of S$0.52 and its last reported NAV of S$0.71, NAV post-merger is expected to decline to S$0.62 per unit. Total acquisition cost for OUEHT amounts to S$1.39-1.49bn consisting of OUEHT consideration of S$1.37bn (assuming OUECT’s share price of S$0.52) or S$1.42bn (assuming issuance of consideration units at S$0.57), S$8.3m acquisition fee and S$15.7m worth of professional and other fees. As part of the share consideration for OUEHT, OUECT will issue c.2,485m units. Earnings accretion for both sets of unitholders. Pro forma 2018 numbers, implies DPU accretion of c.2.1% for the enlarged REIT and c.1.4% for OUEHT unitholders. We believe this to be a win-win solution for both sets of unitholders who will enjoy higher distributions post-merger. According to the manager, it has not priced in any form of synergies such as interest costs savings; or any operational cost efficiencies that could potentially be reaped over time. Waiving half of acquisition fees payable to OUECT. The manager of OUECT has also elected to waive half of the acquisition fees payable to the manager (0.375% of asset value versus usual 0.75% of assets for related party acquisitions), which amounts to S$8.3m.This is key in driving the accretion enjoyed by OUECT unitholders. Based on our experience of past mergers and acquisitions (M&As), post-merger liquidity is also expected to increase given OUECT-HT’s enlarged size. Based on OUECT’s estimates, OUECT’s free-float will increase from S$0.4bn to S$1.1bn, which will make it the 17th most liquid REIT in Singapore, catching up to the “big boys” such as CapitaLand-managed REITs, Mapletree Group of REITs, ASCENDAS REAL ESTATE INV TRUST (SGX:A17U), KEPPEL REIT (SGX:K71U) and SUNTEC REIT (SGX:T82U). OUEHT‘s free-float will likewise increase to S$1.1bn from S$0.7bn previously. Getting bigger and gaining broader coverage from the investing community. Since the listing of OUECT and OUEHT in 2014 and 2013 respectively, both trusts have faced issues in terms of generating materially higher investor interest. This can be seen by the current forward yields of OUECT and OUEHT of 6.5% and 6.8% versus forward yields of 6.8% and 7.4% projected at initial public offering (IPO). Furthermore, sell-side coverage has been modest compared to the large cap REITs, with OUECT and OUEHT currently actively covered by 3 and 7 brokers respectively. We envisage that should a merger be approved by both sets of unitholders, a larger market cap should generate additional greater investor interest as anticipated by OUECT and OUEHT, resulting in lower yields. Given its enlarged scale, the combined entity will be able to take on much larger projects and even integrated developments which will chart the REIT’s growth upwards in the medium term. What are further concerns in the medium term? Minimal synergies between offices and hotels. While a larger market cap may result in OUECT being added to major stock or property indices translating to greater investor interest, this may not necessarily result in an immediate compression in yields given increased complexity arising from having both office and hotel assets. OUEHT will be the first REIT with such a mix (CAPITALAND COMMERCIAL TRUST (SGX:C61U) and CAPITALAND MALL TRUST (SGX:C38U) which are office and retail REITs have a small exposure to hotels through their investment in Raffles City Singapore). Thus far, we understand that most investors’ preference has been for a pure exposure to a particular sub-property asset class. The only exception which the market has largely accepted has been a mix of office and retail assets (MAPLETREE COMMERCIAL TRUST (SGX:N2IU), MAPLETREE NORTH ASIA COMM TRUST (SGX:RW0U), SUNTEC REIT (SGX:T82U) and STARHILL GLOBAL REIT (SGX:P40U)). Second major corporate action soon after recent rights issue. the overhang from the issuance of more units to fund the acquisition of OUEHT. CPPUs yet to be converted + further fund raising for OUE Downtown Oakwood service apartments in the long term? potential rights issue to acquire OUE Downtown Oakwood service apartments from its sponsor OUE LIMITED (SGX:LJ3). A merger, while reducing the potential near-term dilution to DPU due to the larger asset base, does not totally eliminate the lingering overhang. Post-merger gearing around 40% level. A gearing, in and of itself, is not an impediment to a structural lowering of OUECT-HT’s cost of capital. We have no issue with such a gearing (40% level), depending on the assets a REIT owns. However, historically (rightly or wrongly) investors in general have been cautious on REITs with such a gearing. Should the three previous concerns we identified impede a significant re-rating of OUECT-HT despite the benefits of a larger market cap, the “relatively” high gearing in some investors eyes will cap the share price performance of the enlarged entity with any potential equity raising to fund future growth creating an overhang. Positive on larger size but level of compression uncertain with potential near-term share price volatility. the lingering overhang from the CPPU’s and potential acquisition of OUE Downtown Oakwood service apartments. Near-term, we also anticipate some share price volatility as the market digests the merger announcement. For now, we maintain BUY calls on OUECT (Target Price of S$0.60) and OUEHT (S$0.85).